Belmont Veterinary Clinic welcomes you! Our staff loves animals so much, they made a career out of it. When your pet is in our care, they’ll be treated with all the care and affection that you’d give them yourself. We have years of experience dealing with small animal medicine, and have committed ourselves to providing your pet with the best care. We’ll give your furry family member personalized service that is tailored to their specific needs. Call us today to arrange an appointment or stop in to fill out a new client form. 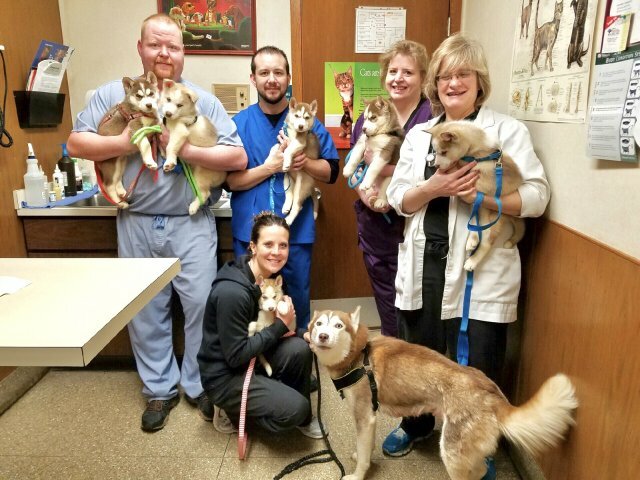 Please browse our website to learn more about our animal clinic and the veterinary services we provide for companion animals in Youngstown and the surrounding areas. Read information in our Pet Library, view videos, take a virtual tour of our veterinary hospital, read testimonials, and find details about upcoming events. Please call our office today at (330)759-9207 for all your pet health care needs or click here to contact us or to set up an appointment. "The compassion and understanding of our pets has always been first and foremost with Belmont Veterinary Clinic. I would encourage and even insist that you go to them for all your pets needs. I have had Dr. Wittenauer as our vet for over 20 years. They are the best. And the staff is amazing. Thank you for all you have done for my fur babies." "Best vet in the area, have been taking all 5 of our dogs, past and present there for 15 years. Awesome people, great service, and know what they are doing!" "I definitely recommend this clinic! The highly skilled & experienced veterinarian is the best & so is her staff! My animals receive the best care here! I wouldn't go anywhere else!"